Snooker ( UK: /ˈsnuːkər/ , US: /ˈsnʊkər/ )   is a cue sport which originated among British Army officers stationed in India in the later half of the 19th century. It is played on a rectangular table covered with a green cloth, or baize, with pockets at each of the four corners and in the middle of each long side. 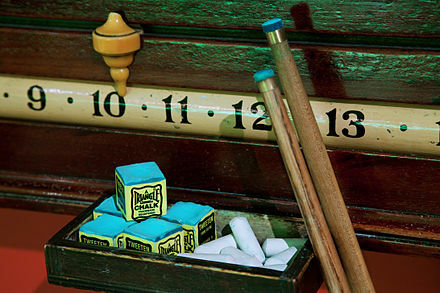 Using a cue and 21 coloured balls, players must strike the white ball (or "cue ball") to pot the remaining balls in the correct sequence, accumulating points for each pot. An individual game, or frame, is won by the player scoring the most points. A match is won when a player wins a predetermined number of frames. Cue sports, also known as billiard sports, are a wide variety of games of skill generally played with a cue stick, which is used to strike billiard balls and thereby cause them to move around a cloth-covered billiards table bounded by elastic bumpers known as cushions. Snooker gained its own identity in 1884 when army officer Sir Neville Chamberlain, [lower-alpha 1] while stationed in Ooty, devised a set of rules that combined pyramid and life pool. The word snooker was a long-used military term for inexperienced or first-year personnel. The game grew in popularity in the United Kingdom, and the Billiards Association and Control Club was formed in 1919. It is now governed by the World Professional Billiards and Snooker Association (WPBSA). Sir Neville Francis Fitzgerald Chamberlain, was a British Army officer, and later Inspector-General of the Royal Irish Constabulary who resigned in the aftermath of the 1916 Easter Rising in Ireland. 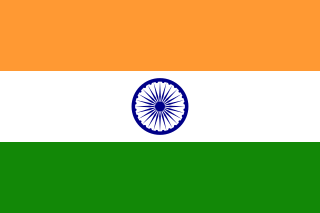 He is credited with having invented the game of snooker while serving in Jubbulpore (Jabalpur), India, in 1875. Pyramid pool, also called pyramids, is a form of pocket billiards (pool) mainly played in the 19th century. It was one of several pool games that were popular at this time. The Field is the world's oldest country and field sports magazine, having been published continuously since 1853. Its current publisher is TI Media. The world championship is the most highly valued prize in professional snooker,  both in terms of financial reward (£300,000 for the winner, formerly £250,000)  as well as ranking points and prestige. The world championship is televised extensively in the UK by the BBC  and gains significant coverage in Europe on Eurosport  and in the Far East. In an attempt to answer criticisms that televised matches can be slow or get bogged down in lengthy safety exchanges and that long matches cause problems for advertisers,  an alternative series of timed tournaments has been organised by Matchroom Sport chairman Barry Hearn. The shot-timed Premier League Snooker was established, with seven players invited to compete at regular United Kingdom venues, televised on Sky Sports. Players had twenty-five seconds to take each shot, with five time-outs per player per match. While some success was achieved with this format, it generally did not receive the same amount of press attention or status as the regular ranking tournaments. However, this event has been taken out of the tour since 2013, when the Champion of Champions was established. The playing surface, 356.9cm (11 feet 8.5 inches) by 177.8 (5 feet 10 inches) for a standard full-size table, with six pocket holes, one at each corner and one at the centre of each of the longer side cushions. For further information see Billiard table , specifically the section Snooker and English billiards tables. 22 balls (15 red, 6 colour balls and a white cue ball), 52.5 mm or 2​1⁄16 inches in diameter. For further information see Billiard ball , particularly the section Snooker. Through the decades, certain players have tended to dominate the game, but none more than its original star player, Joe Davis. Davis was world champion for twenty years, retiring unbeaten after claiming his fifteenth world title in 1946 when the tournament was reinstated after the Second World War. Davis was unbeaten in world championship play, and was only ever beaten four times in his entire life, with all four defeats coming after his world championship retirement and inflicted by his own brother Fred. He did lose matches in handicapped tournaments, but on level terms these four defeats were the only losses of his entire career. He was also world billiards champion. It is regarded as highly unlikely that anyone will ever dominate the game to his level again. After Davis retired from world championship play, the next dominant force was his younger brother Fred Davis who had lost the 1940 final by a single frame. By 1947 he was deemed ready by his brother to take over the mantle but lost the world final to the Scotsman Walter Donaldson. After this setback, Davis and Donaldson contested the next four finals, Davis proving the stronger player. After the abandonment of the world championship in 1953, with the 1952 final boycotted by British professionals, the Professional Match Play Championship became the unofficial world championship in all but name. Fred Davis won the event every year until its penultimate one, when in 1957 he did not enter. After winning three official and five unofficial world titles, his absence from the 1957 tournament was to prove vital, as its winner, John Pulman, was automatically awarded the official world title on resumption of the tournament in 1964. Davis would try, but never regain the world title again. Sinuca brasileira , a Brazilian version with only one red ball, and divergent rules. Snooker plus, a variant with two additional colour balls (8pt orange and 10pt purple), allowing a maximum break of 210. The variation was created by Joe Davis in 1959 and used at the 1959 News of the World Snooker Plus Tournament. It failed to gain popularity. The snooker world rankings are the official system of ranking professional snooker players to determine automatic qualification and seeding for tournaments on the World Snooker Tour. They are maintained by the sport's governing body, the World Professional Billiards and Snooker Association. A player's ranking is based on their performances in designated ranking tournaments over the preceding two years, and it is updated after every tournament. The world rankings were inaugurated in the 1976/1977 season and the point tariffs used to be set by the governing body, but the rankings transitioned to a prize money list in the 2014/2015 season. Joe Swail is a professional snooker player from Belfast, Northern Ireland. He has reached ten major ranking semi-finals, including the 2000 and 2001 World Championships but only one final. Swail is renowned for playing well at the Crucible Theatre, having reached the last 16 on four further occasions. He is also a former English amateur champion and Northern Ireland amateur runner-up, and has captained Northern Ireland internationally. He was Irish champion in 1992 and 2005. Russian pyramid, also known as Russian billiard is a form of pocket billiards played on a table similar to a snooker table. It is popular across Eastern Europe as well as countries of the former Soviet Union/Eastern Bloc. A variant with colored balls modeled on those of pool is known as Russian pool. In Western countries, the game is known as pyramid billiards, or simply pyramid within professional circle. The following is a glossary of traditional English-language terms used in the three overarching cue sports disciplines: carom billiards referring to the various carom games played on a billiard table without pockets; pool, which denotes a host of games played on a table with six pockets; and snooker, played on a large pocket table, and which has a sport culture unto itself distinct from pool. There are also hybrid pocket/carom games such as English billiards. Five-pin billiards or simply five-pins or 5-pins, is today usually a carom billiards form of cue sport, though sometimes still played on a pocket table. In addition to the customary three balls of most carom games, it makes use of a set of five upright pins (skittles) arranged in a "+" pattern at the center of the table. The game is popular especially in Italy and Argentina, but also in some other parts of Latin America and Europe, with international, televised professional tournaments. It is sometimes referred to as Italian five-pins or Italian billiards, or as italiana. A variant of the game, goriziana or nine-pins, adds additional skittles to the formation. A related pocket game, with larger pins, is played in Scandinavia and is referred to in English as Danish pin billiards, with a Swedish variant that has some rules more similar to the Italian game. Blackball, also known as reds and yellows and English eight-ball, is a pool game originating in the United Kingdom and popular across Europe, as well as in some former British colonies such as Australia. In the UK and Ireland it is usually called simply "pool". 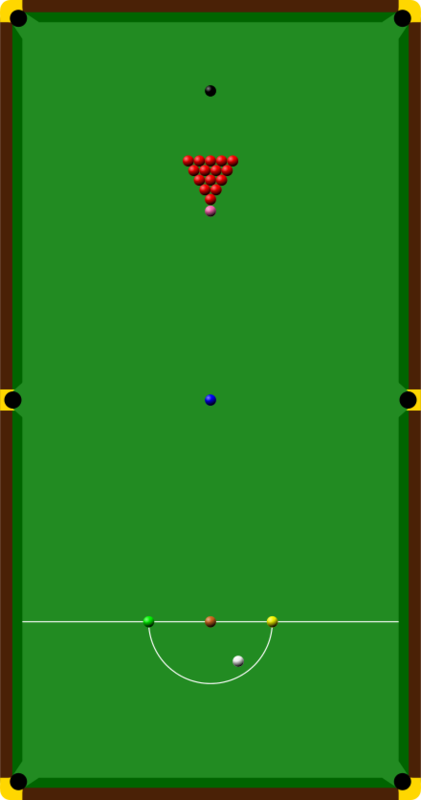 The game is played with sixteen balls on a small pool table with six pockets. The 2005 UK Championship was the 2005 edition of the UK Championship, a professional snooker tournament that is one of the sport's three Triple Crown events. It was held at the Barbican Centre in York, North Yorkshire from 5 to 18 December 2005. The competition was the second of six World Professional Billiards and Snooker Association (WPBSA) ranking events in the 2005/2006 season and the tournament's 29th edition. It was broadcast in the United Kingdom and Europe on the BBC and Eurosport. The 2004 Masters was the 2004 edition of the professional non-ranking Masters snooker tournament, one of three "Triple Crown" events on the Snooker Tour, which was held from 1 to 8 February 2004 at the Wembley Conference Centre in the British capital of London. It was the 30th staging of the tournament and it was the eighth of fifteen World Professional Billiards and Snooker Association (WPBSA) events in the 2003/2004 season. The tournament was broadcast in the United Kingdom by the BBC. The 2009 Pukka Pies UK Championship was a professional ranking snooker tournament that took place between 5–13 December 2009 at the Telford International Centre in Telford, England. The 2002 LG Cup was the 2002 edition of the professional Grand Prix snooker tournament and was held from 5 to 13 October 2002 at the Guild Hall in Preston, Lancashire, England. It was the second year the event was known as the LG Cup and the 21st overall staging of the competition. The tournament was the first of eight World Professional Billiards and Snooker Association (WPBSA) ranking events in the 2002/2003 season and it was televised in the United Kingdom on the BBC. The Snooker Shoot-Out is a professional ranking snooker tournament played under a variation of the standard rules. The 2017 event was the first time the tournament was staged as a ranking event. Thepchaiya Un-Nooh is the current champion. Kaisa or karoliina is a cue sport mainly played in Finland. The game originated in Russia, where it is still played to some extent. Kaisa equipment is similar to Russian pyramid from the 68 mm balls, small pockets barely large enough for a ball to enter, and the long and heavy cue sticks. Kaisa tables are usually 10 feet long and thus 2 feet shorter than official tournament Russian pyramid tables which are 12 feet long. It is a two-player or -team game. As with many carom billiards games, both players have their own cue balls used to shoot at the other balls, and usually differentiated by one cue ball having a dot or other marking on it. In all, five balls are used: the yellow object ball, two red object balls, and the two white cue balls. The game is played to 60 points, in a rather elaborate scoring system, reminiscent of those used in snooker and English billiards, with points being awarded for various types of shots. Like both Russian and English billiards, which are also played on large pocket billiards tables, kaisa is a hybrid of carom and pocket billiards game styles. Kaisa is principally a recreational game, without professional players. However, the first kaisa world championship tournament was held in April 2010. Participants came from 33 countries, and the main tournament was held in Kotka. A Finnish player, Marko Rautiainen, won the championship title. Amateur competition in Finland is widespread and popular, with matches being shown on a dedicated Web show on blip.tv. Shaun Peter Murphy is an English professional snooker player, who won the 2005 World Championship. Nicknamed "The Magician", Murphy is noted for his straight cue action and his long potting. ↑ "Pronunciation of snooker". Macmillan Dictionary. London, UK: Macmillan Publishers. Archived from the original on 15 April 2012. Retrieved 19 March 2012. ↑ "American pronunciation of snooker". Macmillan Dictionary. op. cit. Archived from the original on 12 May 2013. Retrieved 19 March 2012. ↑ "Chamberlain, Sir Neville Francis Fitzgerald (1856–1944), army officer and inventor of snooker | Oxford Dictionary of National Biography". oxforddnb.com. Retrieved 31 January 2019. ↑ "BBC SPORT | Other Sport | Snooker | Where does Ronnie rank?". news.bbc.co.uk. Archived from the original on 1 June 2007. Retrieved 31 January 2019. 1 2 "BBC SPORT | Other Sport... | Snooker | China in Ding's hands". news.bbc.co.uk. Archived from the original on 27 August 2007. Retrieved 31 January 2019. 1 2 3 Maume, Chris (25 April 1999). "Sporting Vernacular 11. Snooker". The Independent. Archived from the original on 11 February 2017. Retrieved 25 February 2007. 1 2 3 Clare, Peter (2008). "Origins of Snooker". Snooker Heritage. Archived from the original on 3 January 2017. Retrieved 8 February 2017. ↑ Hughes-Games, Martin (16 June 2014). "Ooty, India: back in time to the birthplace of snooker". The Telegraph. Archived from the original on 21 March 2017. Retrieved 8 February 2017. ↑ "Origins of the Game of Snooker". TitanSports.co.uk. Archived from the original on 15 December 2005. Retrieved 13 November 2017. ↑ Gadsby & Williams 2012, p. 8. ↑ "9 Coloured Balls in Original Snooker - funky snooker". funkysnooker.com. Archived from the original on 29 April 2017. Retrieved 31 January 2019. ↑ "BBC SPORT | Other Sport... | Snooker | Pot Black returns". news.bbc.co.uk. Archived from the original on 17 November 2006. Retrieved 31 January 2019. ↑ "2008 Summer Journey - TIME". TIME.com. 19 June 2008. Archived from the original on 7 October 2009. Retrieved 31 January 2019. ↑ "BBC SPORT | WORLD CHAMPS 2002 | Take snooker to the world". news.bbc.co.uk. Archived from the original on 25 February 2007. Retrieved 31 January 2019. ↑ "BBC SPORT | Other Sport | Snooker | 1985: The black ball final". news.bbc.co.uk. Archived from the original on 24 September 2003. Retrieved 31 January 2019. 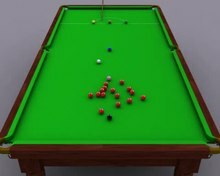 1 2 "Snooker: World championship finds new sponsors". the Guardian. Archived from the original on 25 March 2016. Retrieved 31 January 2019. ↑ "BBC SPORT | Other Sport... | Snooker | Could Ding be snooker's saviour?". news.bbc.co.uk. Archived from the original on 27 November 2010. Retrieved 31 January 2019. ↑ "John Spencer, 71, Dies; Helped Popularize Snooker". The New York Times. 16 July 2006. Archived from the original on 23 April 2018. Retrieved 26 April 2018. ↑ "BBC Sport - Snooker - Barry Hearn wins vote to take control of World Snooker". BBC. Archived from the original on 23 September 2010. Retrieved 31 January 2019. ↑ "Barry Hearn: World Snooker chief on how he saved the sport". BBC Sport. Archived from the original on 16 October 2015. Retrieved 31 January 2019. 1 2 3 4 5 "Official Rules of the Games of Snooker and English Billiards" (PDF). The World Professional Billiards & Snooker Association Limited. November 2014. Archived from the original (PDF) on 4 March 2016. Retrieved 23 April 2016. ↑ "Snooker for beginners". Snooker rules and refereeing. Retrieved 31 January 2019. ↑ "BBC SPORT | Other Sport... | Snooker | Ding compiles maximum at Masters". news.bbc.co.uk. Retrieved 31 January 2019. ↑ "Alex Higgins: A 155 break impossible? Not for Higgy - BelfastTelegraph.co.uk". BelfastTelegraph.co.uk. Retrieved 31 January 2019. ↑ "147 Is Not Snooker's Maximum Break". Pundit Arena. Retrieved 31 January 2019. ↑ "BBC SPORT | Other Sport... | Snooker | World title victory delights Dott". news.bbc.co.uk. Retrieved 31 January 2019. ↑ "Mark Allen pockets £70k Scottish Open title with a 'nice fluke' - BelfastTelegraph.co.uk". BelfastTelegraph.co.uk. Retrieved 31 January 2019. ↑ "Pool Table Room Size Guide - Snooker & Pool Table Company Ltd". snookerandpooltablecompany.com. Retrieved 31 January 2019. ↑ "What is Scoreboard in Snooker? Definition and Meaning". sportsdefinitions.com. Archived from the original on 4 March 2016. ↑ "BBC SPORT | OTHER SPORTS | WPBSA v TSN". news.bbc.co.uk. Retrieved 31 January 2019. ↑ "BBC SPORT | OTHER SPORTS | Snooker's biggest break". news.bbc.co.uk. Retrieved 31 January 2019. ↑ "BBC SPORT | Other Sports | Snooker | Snooker authorities survive bid". news.bbc.co.uk. Retrieved 31 January 2019. ↑ "BBC SPORT | Other Sports | Snooker | Snooker at the crossroads". news.bbc.co.uk. Retrieved 31 January 2019. ↑ "About Us". IBSF.info. International Billiards and Snooker Federation. 2017. Archived from the original on 12 August 2017. Retrieved 13 November 2017. ↑ "Snooker bids to be included in 2020 Olympics in Tokyo". BBC Sport. 23 January 2015. Archived from the original on 23 January 2015. Retrieved 24 January 2015. ↑ "Olympic Games: Snooker misses out on 2020 Tokyo place". BBC Sport. 22 June 2015. Archived from the original on 5 August 2018. Retrieved 8 May 2018. ↑ Reuters staff (8 November 2017). "Snooker among cue sports targeting Paris 2024, federation chief says". Reuters. Archived from the original on 9 May 2018. Retrieved 8 May 2018. ↑ "About". worldsnookerfederation. World Snooker Federation. Archived from the original on 9 May 2018. Retrieved 8 May 2018. ↑ Snooker: Ronnie O'Sullivan warns of players burning out Archived 9 December 2017 at the Wayback Machine , The Independent, 7 May 2012. ↑ Milliken Industrials Limited - Woollen Speciality Products. "Strachan snooker cloths - WSP Textiles - Billiard and Tennis cloths". Archived from the original on 9 February 2016. ↑ "Definitions of terms used in Snooker and English Billiards (search for snooker plus)". snookergames.co.uk. Archived from the original on 1 February 2014. Retrieved 9 April 2011. ↑ "Snooker Plus". The Glasgow Herald . 27 October 1959. p. 10. Retrieved 9 April 2011.